Please continue discussion on Talk:Main Page. 4 Front Page Custom AND Texture Distributions? I don't know where to post this, so I decided to put this in a place where mods would look. Front Page Custom AND Texture Distributions? »Custom MK8 Wiiki« or short »MK8-Wiiki« for the new one. I'm not sure about the hyphens in ths short names. Well I would actually say lets change it "completly" so even when we extent it to other/future consoles (MK7 someday maybe). For reference: »Custom MKWii Wiki«. Of course this would result in some Logo work. 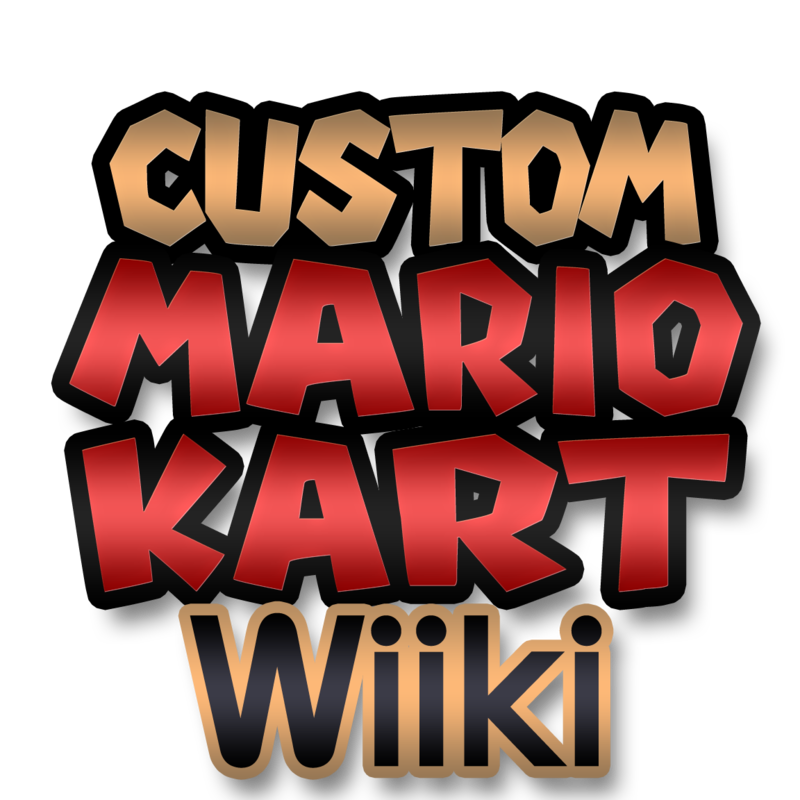 I've always thought of it as the "Custom Mario Kart Wiki," with the Wii worked in to the word wiki to save space. But yeah, referring to this one the "CT Wiki" is problematic. I think the full name can stay "Custom Mario Kart Wiiki," and we can use "MKWiiki" or "MKWii Wiki" for the short version. 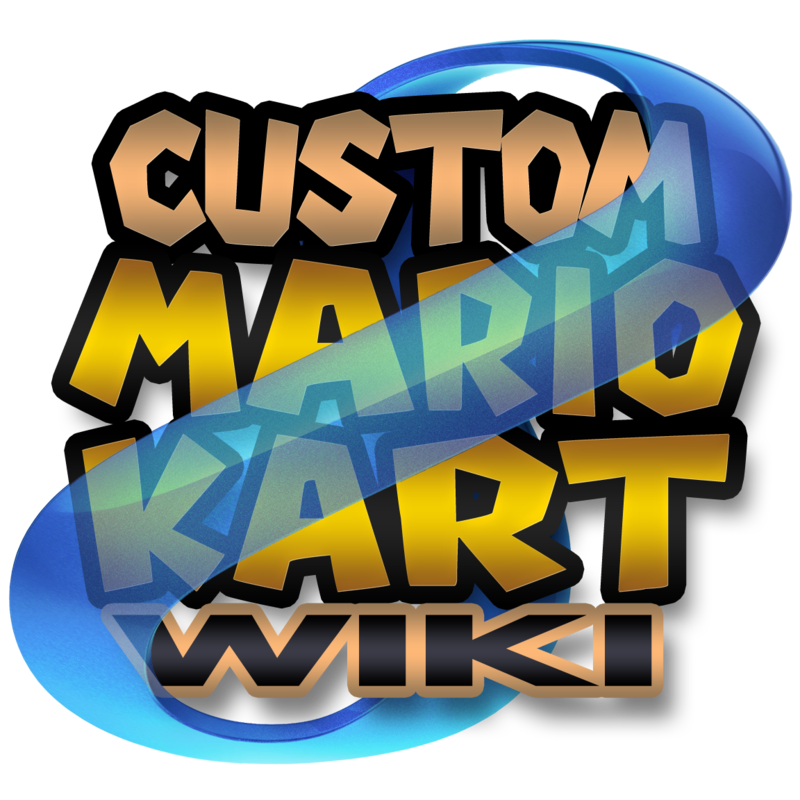 "Custom Mario Kart Wii Wiki" ⇒ "Custom Mario Kart Wiiki" with theme "Custom Mario Kart Wii"
"Custom Mario Kart 8 Wiki" with theme "Custom Mario Kart 8"
@Jefe: The left logo is the MKWii-theme and the right the MK8-Wiki. The only problems I have with the Logos is that the "wiiki" spacing is a bit too narrow for my taste and the "Wiki" being too squeezed. Besides those little complaints I also like the l and o style versions. You probably mean d? Yeah that spacing is too big^^. Like I said o would just need a small amount of bigger spacing. For more than 2 weeks there are no more pros or contras so the logo decision was done. @Jefe: Thanx very much for all your logos!! The Track Translations are on the track pages so I dont see your problem. If you make stuff redundant by also writing them on your distribution translation pages its your choice. Yes but the most users only change the translation on the CTGP Revolution/Translation/Track Names-Page and tracks which are in ctgp-r have the most time full :::translated track names, none ctgp-r tracks only have a few translations, so my idea is to move the page to Track Names/Translations and add EVERY custom track which is :::released there. When you have all translations on one site than people can see which translations are missing and which not. If you have all Track translations on one page its extremly hard to find the ones you need. There should rather be a category where tracks land if they have an incomplete translation table. I already answered before. "There should rather be a category where tracks land if they have an incomplete translation table. And how did you posted that message then? Also try to delete the cookies first. Since start of mk8 wiki, tockdom.com is defined as cookie domain for both wikis to allow a single sign on. To avoid future problems, I have redirected now wiki.tockdom.de and mk8.tockdom.de to the .com domains. This page was last modified on 16 November 2014, at 22:30.